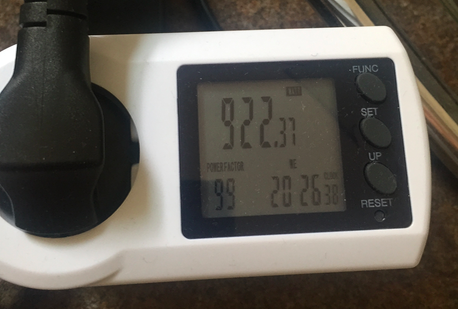 -96mv is the voltage setting? Do they leave the straps alone too or edit them also? all correct (-96mv is core voltage offset) & usually memory straps are bios edited. Not possible on Gigabyte with Hynix mem. only getting 26.5 at 2100 before errors starts. What type of memory? I have hynix memory and I am struggling to get past 27. What kind of red flags do we have to look out for when chasing for 50mhs on a 580? Is temp the only thing that can damage the cards if you keep volts below standard settings? Also is there a chance it can produce garbage hashes? Even with this pic I was only able to grab 69 shares in 80min. At 55(98%)/1(2%)/00 on ethermine tho, just kinda testing these settings. 72 Current 67 Reported 53 Average right now. So with the info I have told you is my mhs 36 or are my numbers looking like 31mhs? 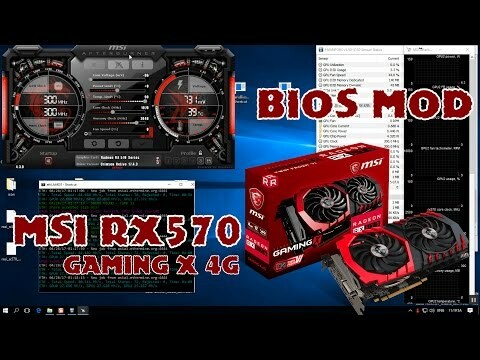 So wolf0 what did you change on the Gigabyte rx 580 gaming 8g bios. What number is a small number of errors? I never realised having a high hash rate wasn't the total end game. So 30MH/s could potentially not be as effective as 27MH/s for example? What strategy did you use to optmise the straps ? Any memory errors on those card? 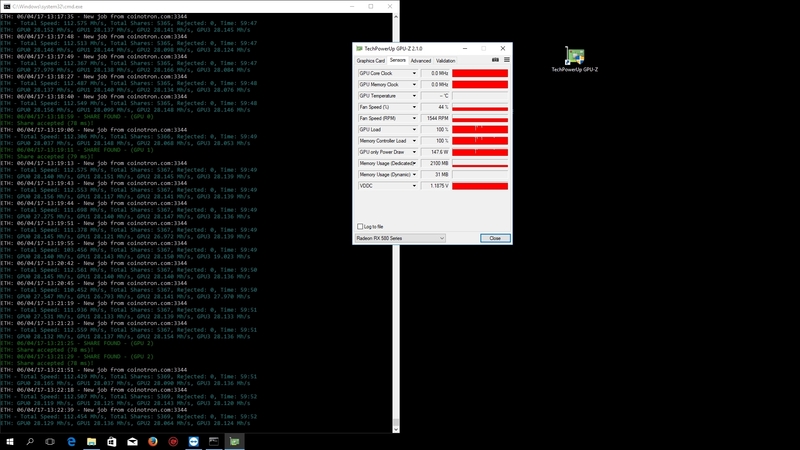 edit: my system consumed 220watt with rx480 in it and 28MH/sec but with the rx480 plus rx580 its at 400 watt. are those figures right? or there is something wrong with my 580? Its just as simple as copying 1750 strap to 2000. leave the 1500 as it is. 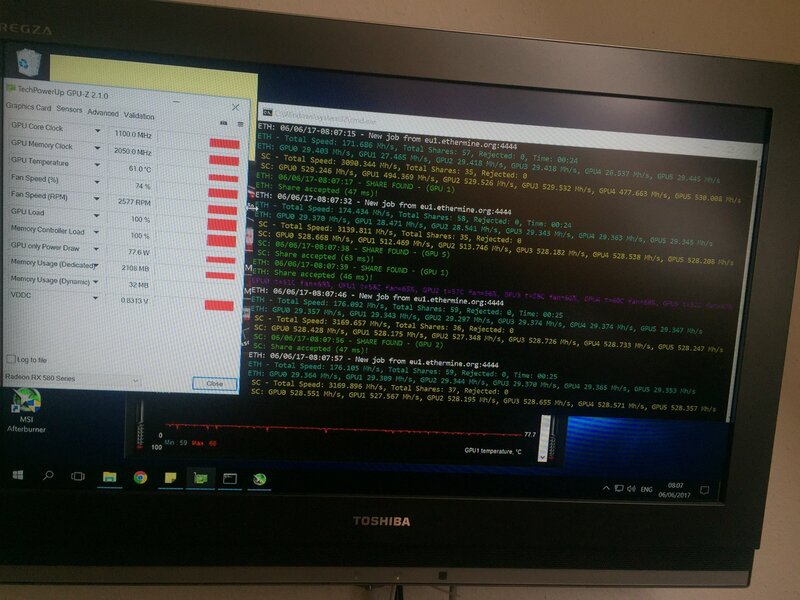 done that bro but I struggle to get it past 28MH/s. I dont mind it but the power draw by the rx580 is 140 watt. if i try to put the memory clock past 2150 in wattman or try to undervolt even a little, I get a crash. Thanks everyone for this threat. I have learnt a lot from you guys to build my very first rig. I got 29.3Mh for Ether and 528Mh for Siacoin (dual mining). Below are the details. 6 * Rx 580 Gaming 4G Gigabyte, memory Hynix (H5GC4H24AJR). Mod Bios: Strap 1500 to 1625 1750 2000. 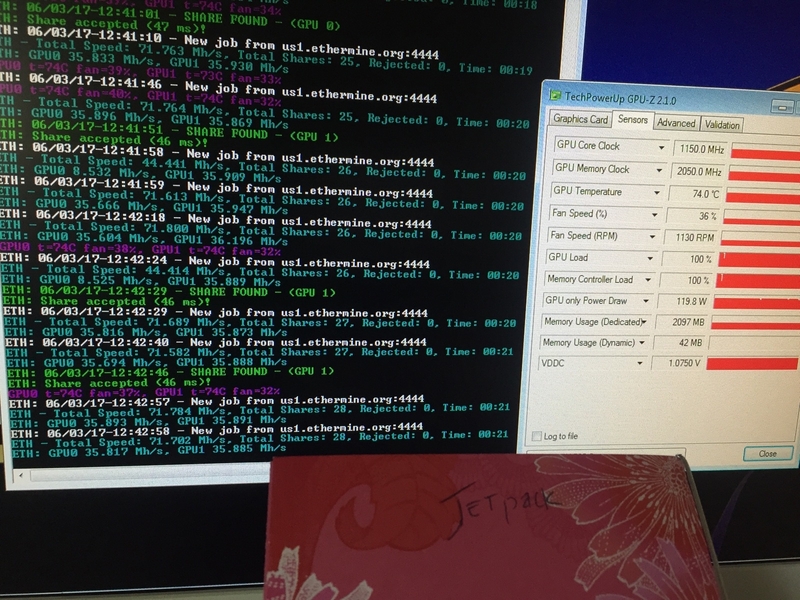 I've tried this and it's working well, all cards hashing at pretty much bang on 30 Mh/s and drawing around 75w in GPU-z. 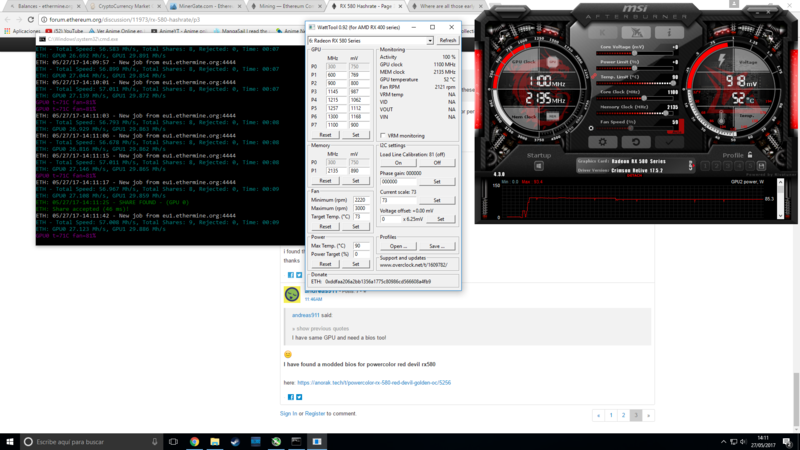 I try and copy the Strap 1500 to 1625 1750 2000 on my msi rx580 8gb. is there any other setting you changed in the BIOS apart from that? I have a RX580 Armor 4gb OC hynix mem. I use the 1500 straps up to 2000 for both 1 and 2 straps. core is 1120 mem is 1950, tdp is 100. Powertune is 3 in linux claymore. 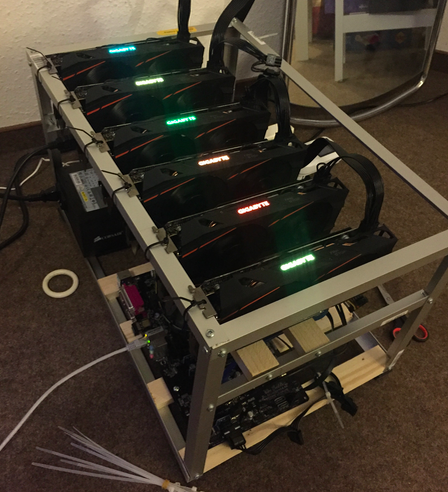 It's good for 7 days 100% stable, 514 watts for 6 gpus @ 28-28.5 mh. not the promised land 30mh. But it's stable. Hope this helps someone, because it was hell for me finding this out on my own. 514 watts for 6 gpus @ 28-28.5 mh. 514 at the wall? if that's the case what's your secret? Strange figures from AjninDoC. I got rx 580 pulse 4G hynix, moded, and 30.5 Mh /s per card. For 5 cards 850 from wall. I know i can get down maybe even for 200W with right setup but 514W with 6 cards no way. He's obviously not measuring at the wall. At the wall is probably double that so ~1000 watts.